29/05 - New video up! 14/01 - Revunions travelling to Cambridge to jam with their Footlights friends. On February 11th, The Revunions will be performing alongside with The Leeds Tealights and Cambridge Footlights in their annual "Footlights and Friends" show hosted at Cambridge's beautiful ADC theatre. 13/12 - New video up! The Bristol Revunions show-stealing sketch that they like to call "Radio DJs" is now online here http://www.youtube.com/watch?v=FcINg8EQn-Y or if you check out our videos page here. 01/11 - ex-Revunion Ellie White stars in BBC Radio 4's "Fresh from the Fringe"
Fresh from her own Edinburgh show "Ellie and Oscar Share a Time" - featuring the highly amusing ex-Revunion Oscar Jenkins-Jones - Ellie was at London's Bush Hall recording a set alongside a line up that included Foster's Comedy Awards Nominee Liam Williams and Winner Aisling Bea. 01/11 - ex-Revunion Jamie Demetriou picks up three 5* reviews! Amongst the many Revunions representing at this summer's Edinburgh Festival Fringe, there is one we're pretty excited to make some noise about. 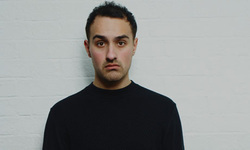 In his debut hour, People Day (Pleasance Courtyard, 01-25 August) Jamie Demetriou sent ripples through the critics circle, picking up three 5* reviews and leaving The Independent wondering if there was "a Steve Coogan in the making". Jamie has also recorded his own mini series of Comedy Blaps for Channel 4's YouTube channel. You can watch them HERE. Nominated for a National Student Drama Festival Award. 07/04 - Revunions won "Best Comedy" at the National Student Television Association Awards for their internet sketch Narratorville. 27/02 - Bristol Revunions voted the Bristol Tab's youtube video of the week!